The Chargers will complete their National Football League season Sunday with a home game against the Kansas City Chiefs, not knowing for the second year in a row whether it will be their last in San Diego. At this point last season, team officials were considering a move to Los Angeles, where they would have built a stadium in suburban Carson in conjunction with the Oakland Raiders. That plan was ultimately shot down by other NFL owners. The home finale was something of a love fest, with emotional players and fans mingling along the sidelines after the game. This year, with the Chargers mired in another fruitless campaign, its unclear whether a repeat is in the offing for the contest that kicks off at 1:25 p.m. at Qualcomm Stadium. 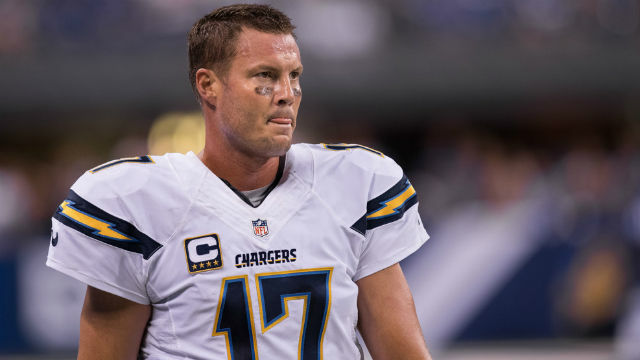 Recent news regarding the Chargers’ future has resulted in mixed signals, something not uncommon during the team’s 15-year hunt for a new stadium. After voters in November rejected Measure C, the Chargers’ plan for a hotel room tax hike to partially fund a downtown stadium project, team chairman Dean Spanos told fans he would wait until after the end of the season to make decisions on his franchise’s future. On the one hand, the Chargers have agreed to lease office space and an open field in Orange County to use as a headquarters and practice facility should the team move. On the other, a recent meeting that included Spanos, San Diego Mayor Kevin Faulconer, county Supervisor Ron Roberts and San Diego State University President Elliot Hirshman was described as being productive. SDSU was involved in the meeting because it has long eyed the Qualcomm site for expansion. When his fellow owners killed off the Carson plan, they gave Spanos a one-year option to become the second team in Los Angeles along with the Rams. That window closes Jan. 15. The finale could also spell the end of the four-year tenure of head coach Mike McCoy. The Chargers record entering the game is 5-10, following a 4- 12 mark last year, and their only playoff appearance under McCoy’s leadership came his first season.